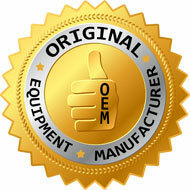 Original factory OEM slide value guide part. This item works with the slide valve to help control air flow. On the high setting, all airflow comes from the vents in the top of the power nozzle. On the low setting, all the vents are blocked and the air flow is forced to come from the bottom. On high carpet, if all the airflow comes from the bottom, the power nozzle can seem like it is choking and is hard to push.